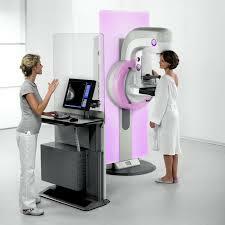 AMERICAN CANCER SOCIETY SAYS WOMEN SHOULD START MAMMOGRAM AT 45. Six years ago, the American Cancer Society lashed out against a federal task force that suggested most women could wait to get mammograms until age 50, instead of age 40, the age that other groups recommend beginning breast cancer screening. 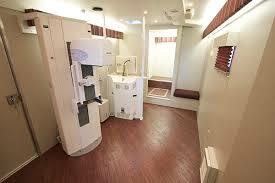 Delaying mammograms, the cancer society said, would lead more women to die. Now, in a move that reflects changing attitudes about cancer screening, the American Cancer Society is itself recommending fewer mammograms. In guidelines recently released, the society said that women at average risk of breast cancer should begin annual mammograms at age 45 - five years later than it had previously recommended. The society said it reached this conclusion after carefully weighing both the benefits and harms of mammograms for younger women, whose risk of breast cancer is much lower than that of older women. By age 55, women can transition to being screened every other year. That's because breast cancers tend to grow more slowly after menopause, making it safe for women to be checked less often, according to the guidelines, published online in JAMA, formerly the Journal of the American Medical Association. In another major change, the society said doctors no longer need to perform breast exams during women's checkups, given the fact that these exams have never been shown to save lives. These are bib changes for the American Cancer Society - the USA's largest cancer charity and perhaps the best-known advocate for screening.